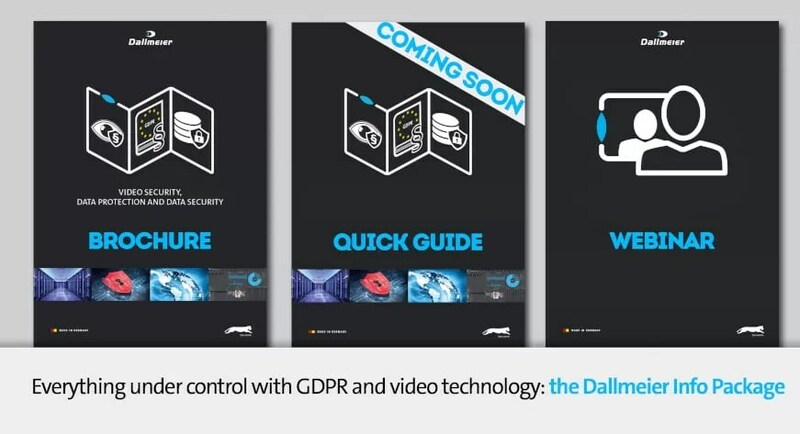 In response to customer enquiries relating to all aspects of GDPR-compliant video security technology, the Regensburg-based video security equipment manufacturer, Dallmeier, has put together a comprehensive, free information package. The manufacturer believes that there still appears to be an information vacuum on the market regarding how to apply the regulations of the GDPR to video technology. This is the conclusion the experts at Dallmeier have reached given the unexpected response to the information campaign launched by the company early this year. In order to provide customers and interested members of the general public with more information on the subject, the company therefore presents a package of helpful information sources. These include a 20-page information brochure with a detailed description of the technical functions that are essential for a GDPR-compliant video security environment, and a Quick Guide with assistance in interpreting the regulations of the GDPR as they relate to video technology. Also included are official interpretation aids and a live webinar on the subject with Dallmeier experts. The manufacturer emphasises that this information purely helps with interpretation and contains technical information and is not intended to offer legal advice.